Fortunately, Hocon Gas offers a FREE service that can help you avoid these problems altogether: automatic propane delivery. Our propane delivery teams will use special software to estimate your fuel usage based on your past bills and the current weather (if you’re a new customer*, we’ll estimate based on local averages for a home your size). Your delivery will be scheduled when your tank is about one-quarter full. That’s it! You will never have to think about your fuel levels, worry about run-outs, or manage your heating oil delivery again. You’ll also get priority service over will-call customers – a great benefit when demand for propane is high, as we saw last winter. If it’s such a great service, why is automatic delivery free? Automatic delivery is free because it helps us schedule the most efficient delivery routes possible – that way we can serve all our customers and avoid having to send crews out for emergency run-outs. You get hassle-free propane deliveries, we get efficient routes, and everyone gets their propane. It’s a win-win-win! Fuel run-outs are a costly and potentially dangerous mistake: extinguished pilot lights can be a safety hazard, and the cost for a professional restart of your heating system (required by law after any propane system shut-off) will come out of your pocket. 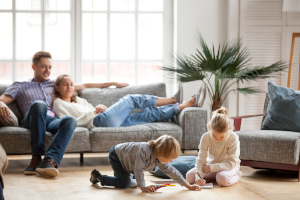 With FREE automatic delivery, you can say goodbye to all of those risks and just enjoy your warm, cozy Connecticut home. Don’t risk a heating oil or propane run-out – sign up for FREE automatic delivery from Hocon Gas today. Contact us for details. *Thinking about joining the Hocon Gas family of customers? Come on board as an Automatic Delivery customer before November 1 and you’ll get one free gallon for every gallon of propane you buy! Restrictions apply – contact us today for details.